A member of the litigation team, David Davenport has over 29 years of litigation experience. 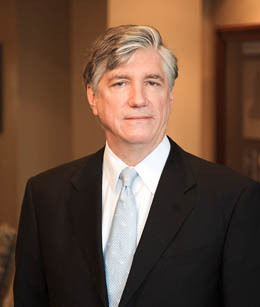 He has tried numerous various civil litigation cases in the State and Superior Courts of Georgia as well as in United States District Courts. He has argued before the Georgia Court of Appeals and Supreme Court and before the Ninth and Eleventh U.S. Circuit Court of Appeals. Mr. Davenport has been a speaker on medical malpractice in 1996 through 2005, and on class actions in 2007 and 2008, at Seminars sponsored by the Institute of Continuing Legal Education in Georgia, as well as the National Business Institute. He also has served on Ethics Panels from 2003 through 2006. EMORY UNIVERSITY SCHOOL OF LAW, Atlanta, Georgia (J.D. 1979). UNIVERSITY OF OKLAHOMA, Norman, Oklahoma (B.A. 1974); Dean's List; Sociology Major; Teaching Assistant (1974-1976). State Bar of Georgia (Member, General Practice, Trial Sections; and Committee on Professionalism (2000-2001)); Atlanta Bar Association (Litigation Section); Lawyers Club of Atlanta (Chairman, 2001-2002; President, 2000-2001; Member, Executive Committee, 1995-2001). Admitted to practice in all Georgia State Courts; USDC Northern District of Georgia; and U.S. Fifth, Ninth and Eleventh Circuit Courts of Appeal.